PREORDER NOW. SHIPS April 29sth. STREET DATE May 3rd. 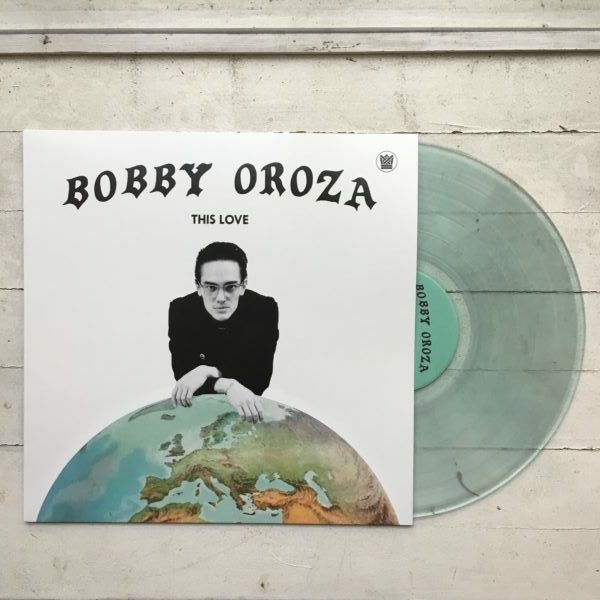 When Bobby Oroza and the Cold Diamond & Mink production duo first got together in the studio they cut “This Love”. That turned out to be a hell of a start. Since they originally released it in 2016 the tune has become somewhat of an underground hit. From the heavy air play at car shows and swap meets in the South West to being featured in numerous movies and tv shows, it even made it’s way to an Earl Sweatshirt mixtape. 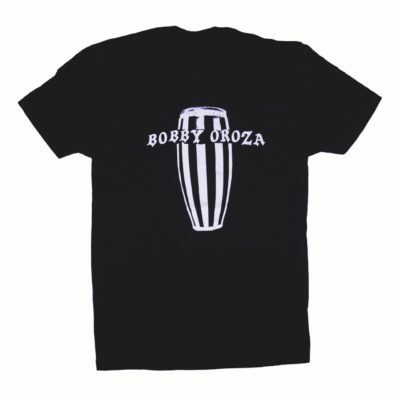 All of this has lead to a lot anticipation for Bobby Oroza’s debut full length which is appropriately named after the tune that started it all. 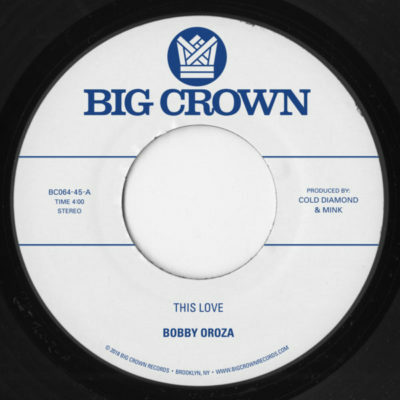 Big Crown Records is proud to present the debut full length from Bobby Oroza, This Love. Bobby was born in Helsinki, Finland into a family of musicians and artists where he would be exposed to a wide range of music early on. Frequent family parties at Bobby’s were thrown to the sounds of his grandfather playing Latin and Cuban classics on his guitar or to his parents record collection which was full of early jazz and blues, Motown, gospel hits, and doo-wops. The Soul records were balanced out by Brazilian, African, North and South American folk songs, and Nuyorican Salsa albums. All of these influences make appearances in Bobby’s music. 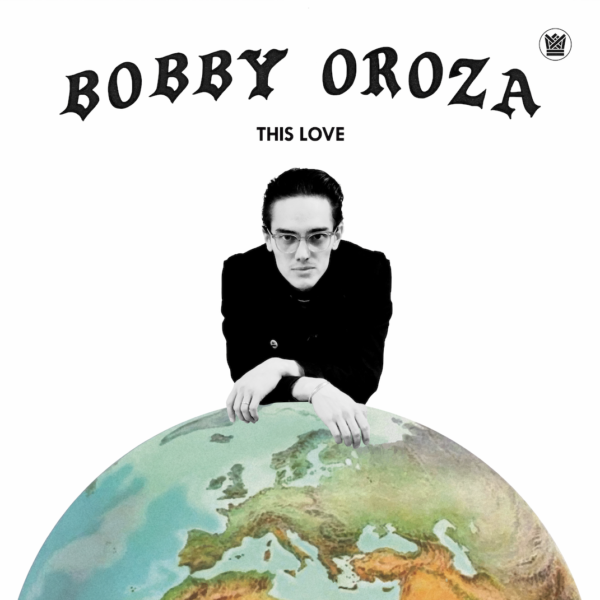 Bobby pushes the borders of soul and rock balladry and creates a sound distinctly his own. Cold Diamond & Mink provide a pitch perfect collec- tion of lo-fi, low-key classics on which Bobby’s smokey tenor floats atop, breaking hearts on some tunes and melting them on others. Maintaining the band’s signature dark and intimate aesthetic, they run the gamut of tempos, breaking hearts on some tunes and mending them on others. 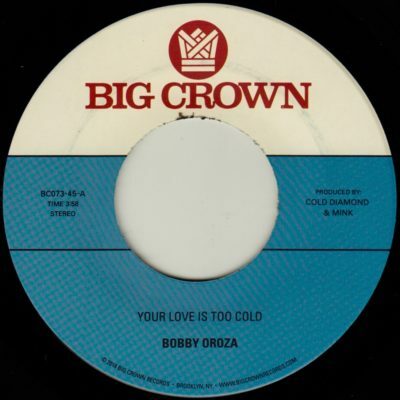 The group’s second single “Your Love Is Too Cold” is a stomper that blends the groovy soul drumming of early Motown records with guitar that could have been lifted from a James Bond score and has been getting heavy spins across the globe at soul parties and on radio shows. Bobby takes care of the dancers with a few up numbers, ranging from the northern soul nods on “Lonely Girl” & “Falling in Love” to the 70s jazz funk nod on “Keep On Believing”. However, the ballad lovers with the uncontrollable urge to two-step late into the night will be the real winners with “This Love”. Bobby thrives on the bed of dark and intimate sensuality found on tracks like “Alone Again”, “Down On My Knees”, and “Deja Vu”. The world is about bear witness, and surely be taken back by this strange and unique shade of Soul born in Finland but made for the whole world to enjoy.